The Murray River acts as the border between New South Wales and Victoria. 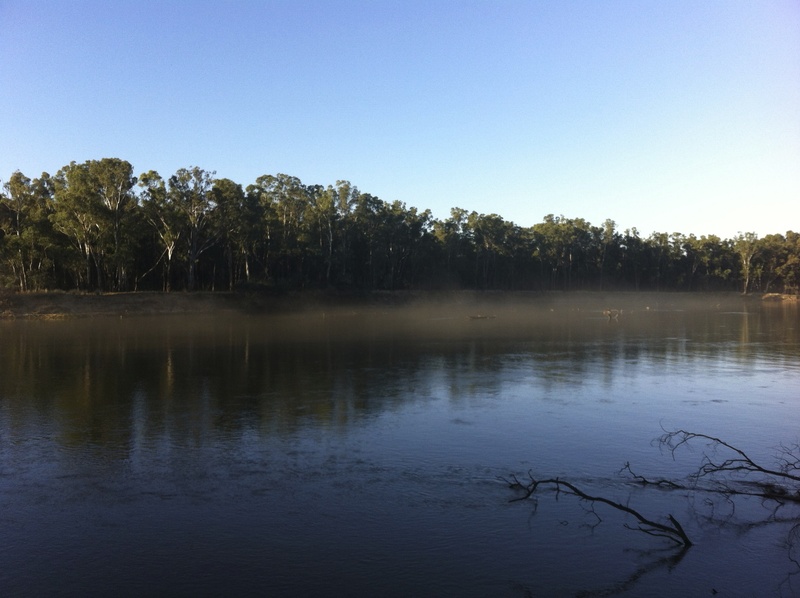 We love camping on the banks of the Murray River. It’s our go to place for a quick get away. There are heaps of different places along the banks between Cobram and Yarrawonga and the best bit is they’re all free. 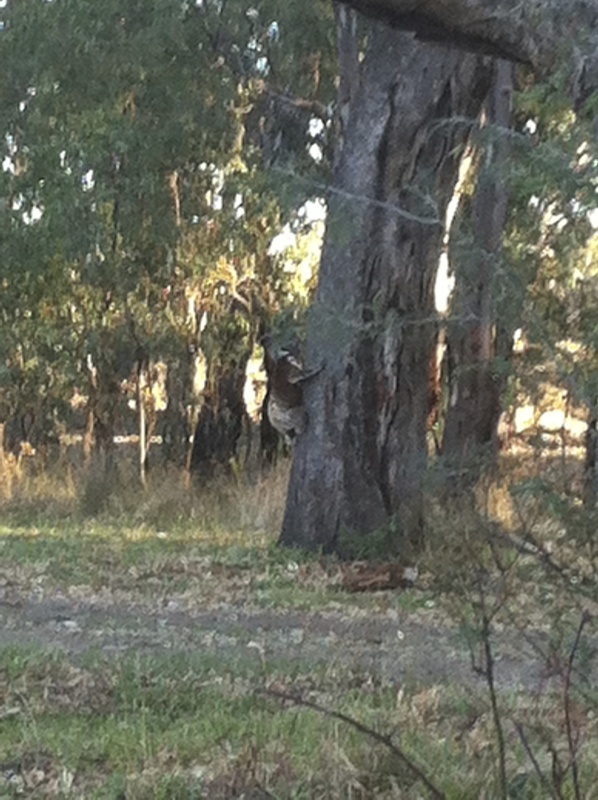 Our favourite spot is in the Tocumwal Regional Park, just north of Strathmerton. It’s around a 3 hour drive north of Melbourne which makes it great for a weekend escape. 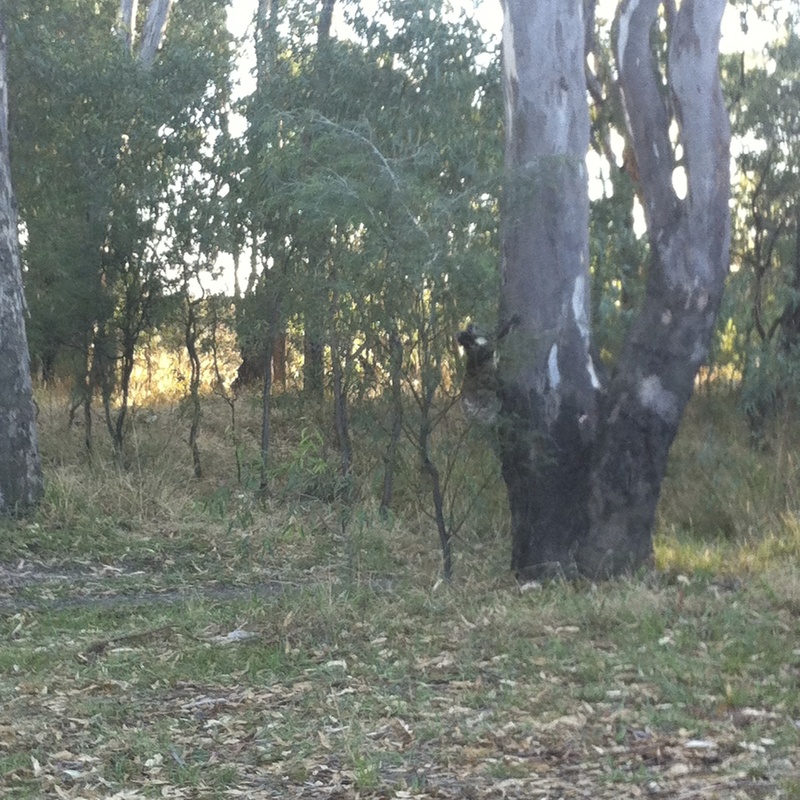 Tocumwal RP is managed by Parks Victoria, however unlike the popular nearby Bahmah National Park dogs are allowed. There are no facilities though, so you need to be self sufficient. 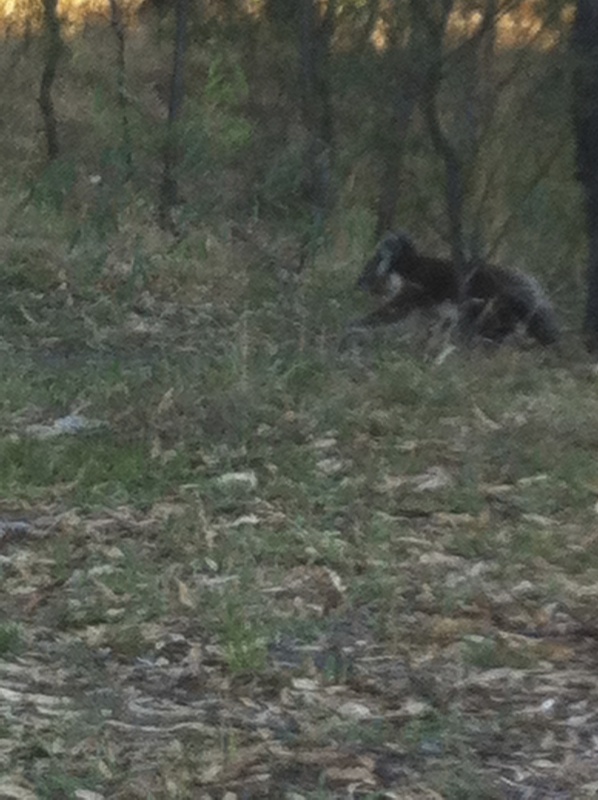 There is always an abundance of bird life on along the river and it’s not uncommon to spot kangaroos in this area. 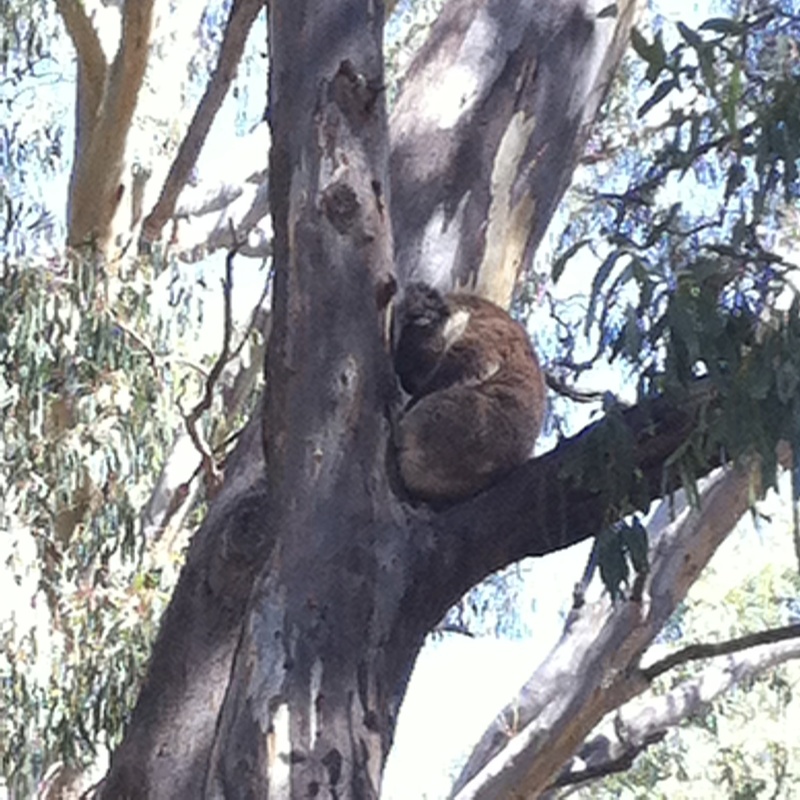 But it’s always really special when we get to camp with koalas as our neighbours. They are really lazy. You wouldn’t know they were there apart from the bizarre growling noises they make at night. On our last trip up we set up nearby a group of gum trees. 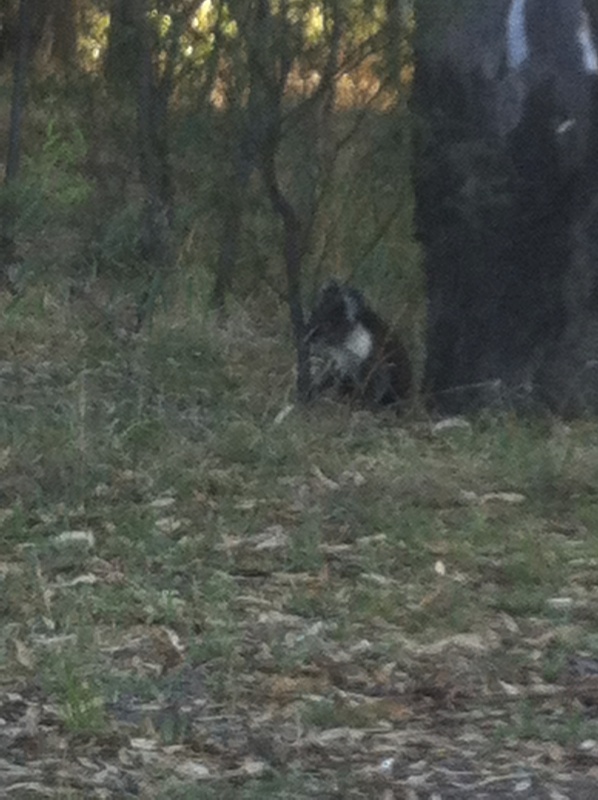 Later that day we noticed the quiet ball of grey fur snoozing in fork of the nearest tree. What was even more amazing was the following day when he (or she) shuffled down the trunk, ambled down the road, and then climbed up the next tree. 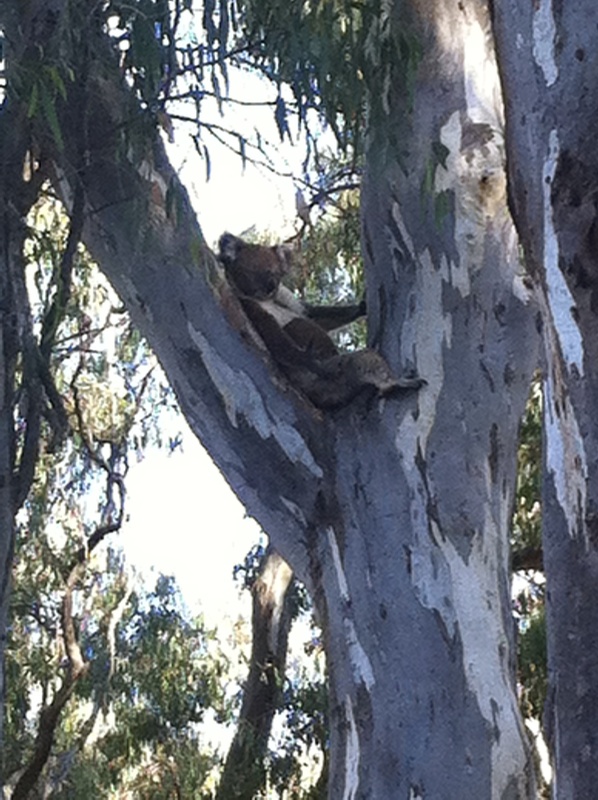 It was only when it climbed the tree that we realized there was a second koala hanging around. 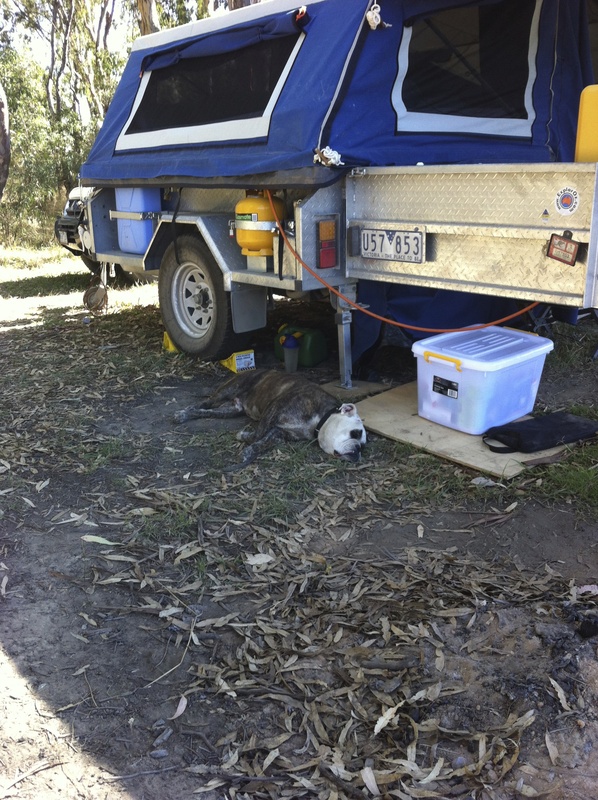 Our dog Buster was asleep so didn’t cause a fuss, but to be on the safe side we tied him to the trailer. Unfortunately we hadn’t taken the camera with us on this particular trip, so only have the photos from our phones. Parks Victoria – or call 13 19 63 (within Australia). There have been times when we’ve cancelled a trip as a phone call revealed that the tracks were closed for maintenance over winter. However once we didn’t check conditions and drove all the way up only to discover that all the campsites on the river were flooded and roads were closed because the river was high. 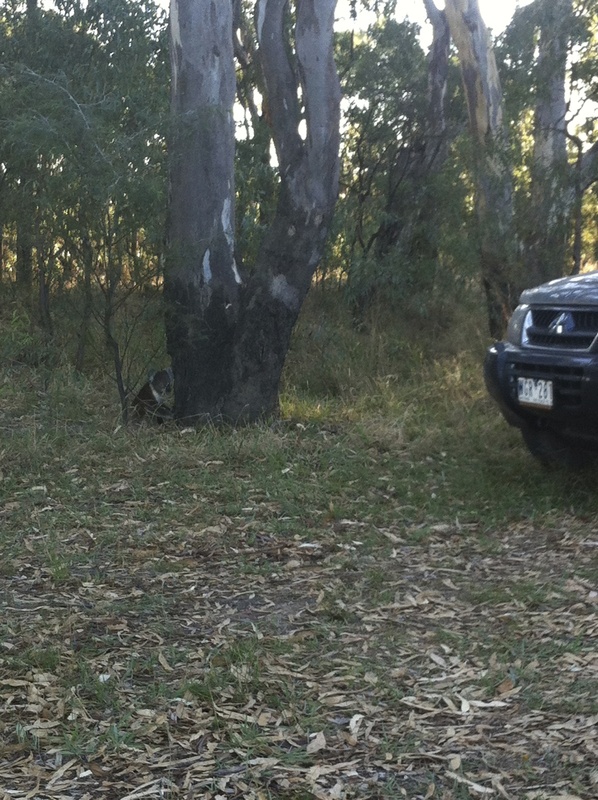 We ended up driving back home again the same day – we were not happy campers! So take it from us, ALWAYS check park conditions before arrival. Strathmerton is a small town along the Murray Hwy. Whenever we go up to the river we always stop in at Strathy. The bakery there does a to-die-for beesting pastry. Unfortunately the quality of coffee they serve has gone down hill in the last few years L Still it’s always good to sit inside in the warm and dry if it’s been a cold wet weekend. Between the petrol station, pub, newsagency and bakery the basic needs are all covered. (For other supplies the large town of Cobram is only 15 minutes away). Public toilet block including shower facilities are directly across the road from the shops. We have generally found these to be in good repair and clean condition.